The subway tile seems to still be very much on trend at the moment, which is good news because this versatile little tile can be used to create an uniquely traditional or retro feel in any kitchen or bathroom. 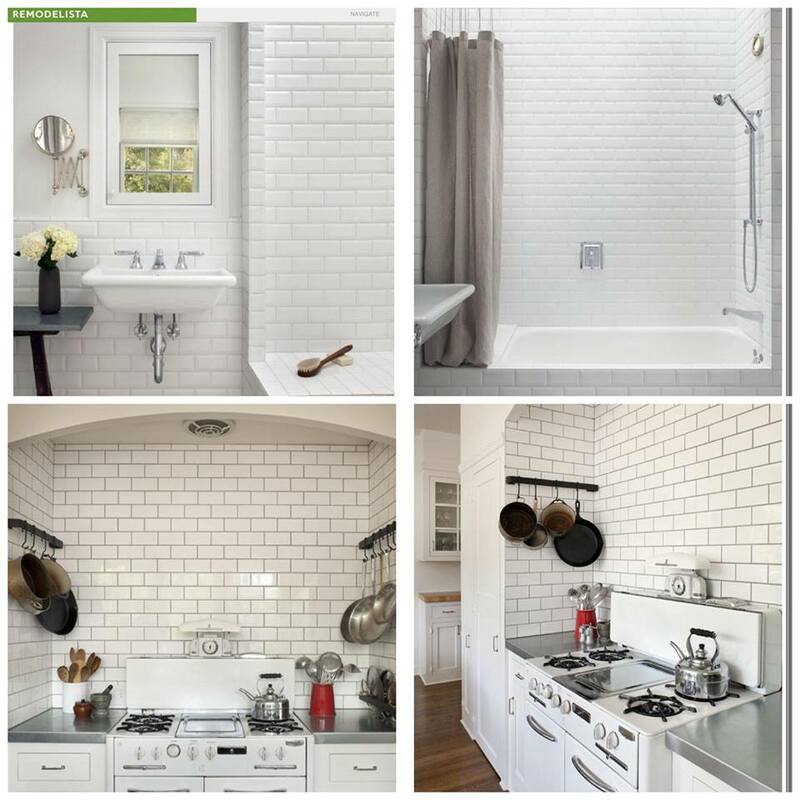 Whether you go with a light or dark grout, subway tiles look bright and clean. As you probably already know, the metro or subway tile was named after the ceramic tiles used on the walls of the New York City subway stations in the early twentieth century. For a simple look, single-colour tiles, back-splashes or counter-tops will do the trick. You can place these tiles horizontally, vertically, or my favourite, in a chevron formation for a bolder look. Used here by San Francisco architect Mark Reilly in this renovation featured on remodelista.com.